Born at Verona, 1206; died near Milan, 6 April, 1252. His parents were adherents of the Manichæan heresy, which still survived in northern Italy in the thirteenth century. A painted illumination in a 1430 missal by Bl. Fra Angelico, depicting the martyrdom of St. Peter of Verona. Sent to a Catholic school, and later to the University of Bologna, he there met St. Dominic, and entered the Order of the Friars Preachers. Such were his virtues, severity of life and doctrine, talent for preaching, and zeal for the Faith, that Gregory IX made him general inquisitor, and his superiors destined him to combat the Manichæan errors. In that capacity he evangelized nearly the whole of Italy, preaching in Rome, Florence, Bologna, Genoa, and Como. Crowds came to meet him and followed him wherever he went; and conversions were numerous. He never failed to denounce the vices and errors of Catholics who confessed the Faith by words, but in deeds denied it. The Manichæans did all they could to compel the inquisitor to cease from preaching against their errors and propaganda. Persecutions, calumnies, threats, nothing was left untried. When returning from Como to Milan, he met a certain Carino who with some other Manichæans had plotted to murder him. 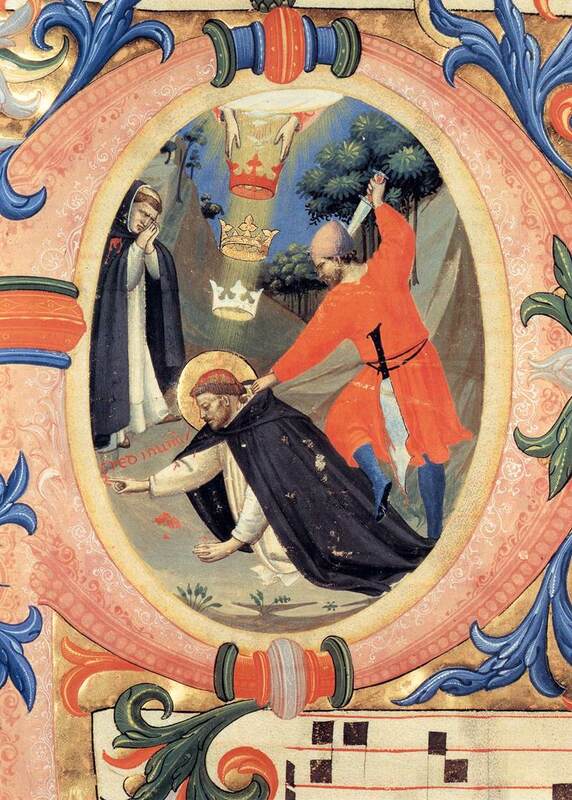 The assassin struck him with an axe on the head with such violence, that the holy man fell half dead. Rising to his knees he recited the first article of the Symbol of the Apostles, and offering his blood as a sacrifice to God he dipped his fingers in it and wrote on the ground the words: “Credo in Deum”. The murderer then pierced his heart. The body was carried to Milan and laid in the church of St. Eustorgio, where a magnificent mausoleum, the work of Balduccio Pisano, was erected to his memory. He wrought many miracles when living, but they were even more numerous after his martyrdom, so that Innocent IV canonized him on 25 March, 1253. 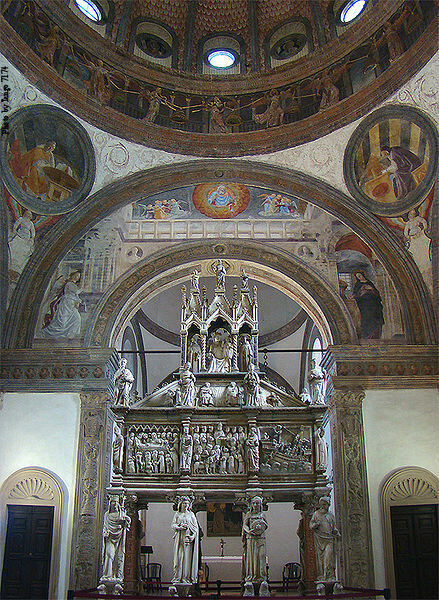 Tomb of St. Peter the Martyr at Saint Eustorgio Basilica, Milan, Lombardy, Italy, in the Portinari Chapel. MARCHESE, Vita di S. Pietro Martire (Fiesole, 1894); HINDS, A Garner of Saints (London, 1900); PERRENS, St Pierre martyr et l’hérésie des Patarins à Florence in Rev. Histor., II (1876), 337-66; Acta SS. (1678), April, III, 678-86. 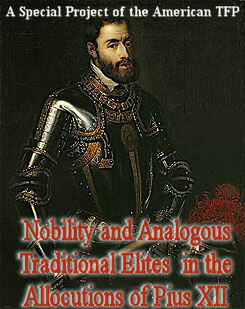 Next post: Do Symbols, Pomp and Riches Have a Function in Human Life?